Here, the best foods to pair with light-bodied white wines like Pinot Grigio, Sauvignon Blanc, Muscadet, Albarino, Gruner Veltliner and Vinho Verde. These tangy, unoaked wines wake up your taste buds and make your mouth water. They are the fluorescent-yellow highlighters of the wine world, perking up dishes that might otherwise seem bland. 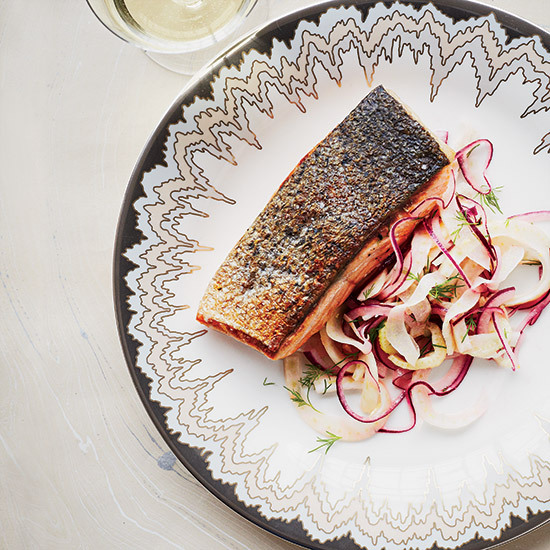 Plus, they're the only wines that work with dishes that already have amped-up acidity, like this endive-grapefruit salad. One tip: Always make sure the wine is at least as tart as the food; otherwise, what's in your glass will lose all of its flavor.